Out of Stock Please call for further details. 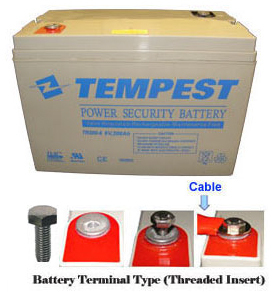 6 Volt, 200 Ah for general purposes. Length 12.68", Width 6.99", Height 8.90" (Total Height 9.06"), F17 terminals (Terminal hardware included), Approx Weight 75 lbs.